The day is finally here. I have to say I’m oh-so-excited to finally share this space with you. I spent over a year planning out our master bedroom so it would be just perfect, and I think it’s now my favorite space in the house! C’mon… let’s take a tour. And let me pre-warn you, photo overload ahead. We’ve had this black furniture for 10 years now. I really didn’t want to spend money on anything new, so I built my bedroom around the furniture, playing off the gold hardware. So instead of a yellow and gray bedroom like you’ve seen around the web recently, I mixed it up a bit with more of a gold or bronze metallic feel instead. Finding this duvet cover from Pottery Barn was a match made in heaven. Lots of gray tones with little pops of gold. The nightstands are filled with a couple family photos and little places to keep my jewelry at night. Opposite of the bed is our large dresser and TV. And then in the corner near our master bath is a little reading nook. I’m completely obsessed with that lamp from HomeGoods. Seriously. At the foot of the bed we put a charcoal gray bench. It’s a great place to put shoes on in the morning, or basically a place to let clothes pile up during the week. To the right of the bed is a little black console to store some extra blankets and sheets. 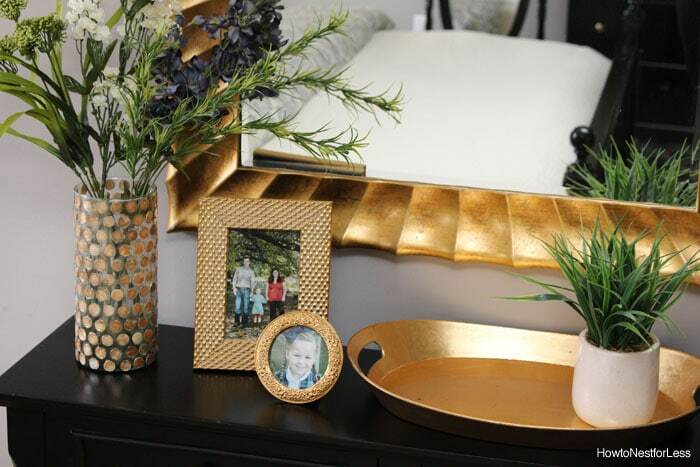 To dress it up, we found a large gold mirror on clearance. I love how it reflects more light throughout the room during the day. I’m totally in love and happy it’s finally off my to-do list! Tomorrow I’ll share my shopping list and cost breakdown. It’s absolutely gorgeous!!! Crushing on every single detail Erin! This room looks amazing! It looks straight out of a magazine! I love that it looks beautiful yet you can’t help but want to snuggle up with a good book. Finding the balance between snuggly and gorgeous is difficult and you nailed it! Uuuuuugh it’s SO GOOD. That chain-mail covered accent pillow is amazing. Thank you! And yes, totally crushing on that pillow! Fit for a queen and king! Beautiful! It is absolutely stunning Erin! I can see why it’s your favorite place in the house! 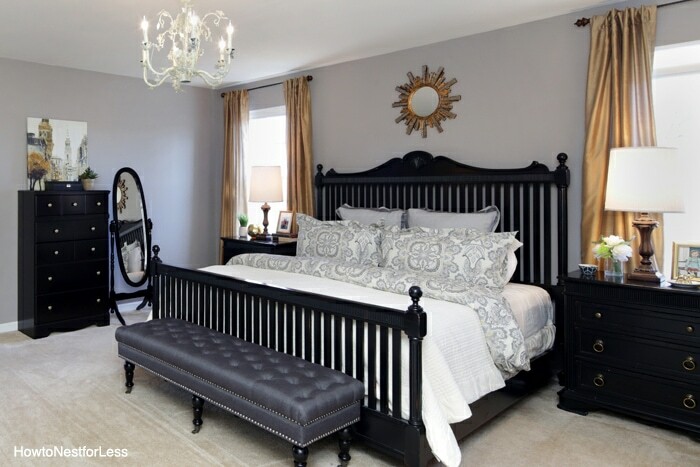 Gorgeous bedroom and beautifully decorated! 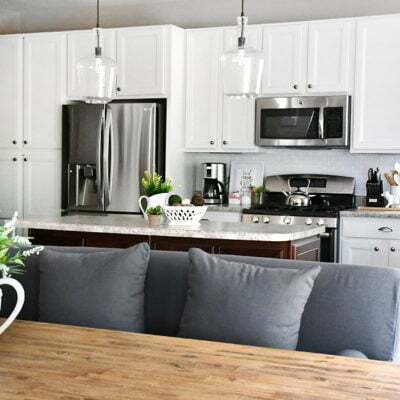 I think I saw that bench at Tuesday morning and I wanted it soooo bad because it was so pretty, but my bedroom is already super dark so I’m keeping my eye out for one in a lighter shade! Visiting from Serenity Now. 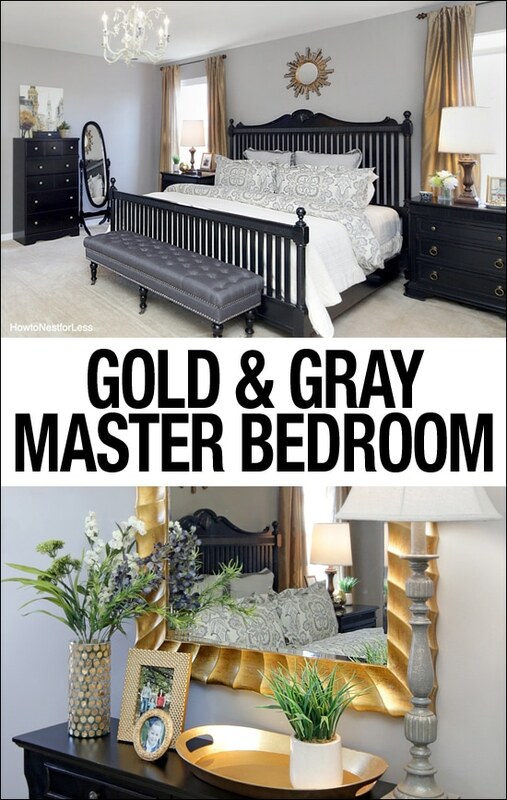 Fabulous Master Bedroom Makeover! 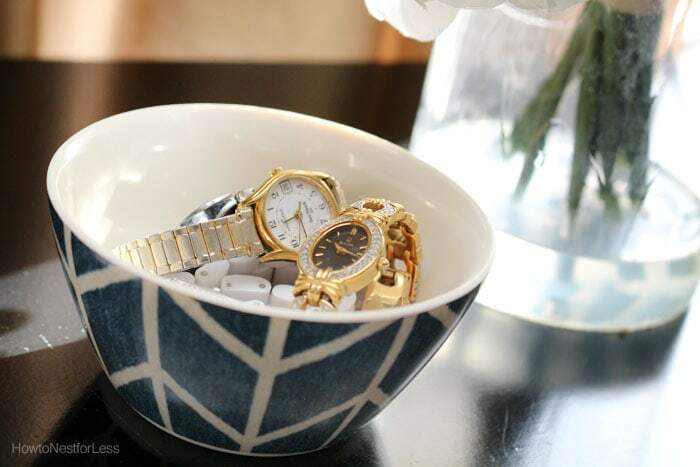 I love how each piece compliments each other. Wonderful color scheme! This looks amazing! I’ve already pinned several of these beautiful pics! Thanks for the inspiration. 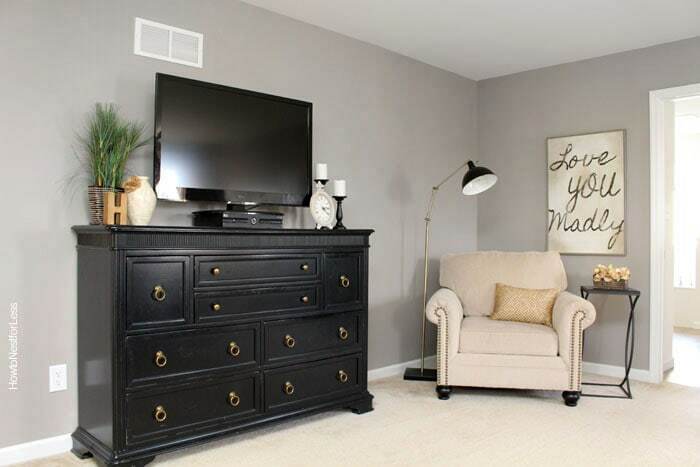 You did a wonderful job on your master bedroom! I love the colors you used and your black furniture works great. The ‘Love You Madly” is a sweet touch. Our master bedroom is about half the size of yours. :[ Figuring out storage (we have one tiny closet) and furniture arrangement is driving me nuts. Dreaming of having the space for a beautiful, comfy chair/sitting area some day. We’d have to blow out an exterior wall to expand and I don’t see that happening any time soon. I’m living vicariously through gorgeous rooms like yours until someday comes. Keep up the beautiful decorating! I’m absolutely in lone with your master! 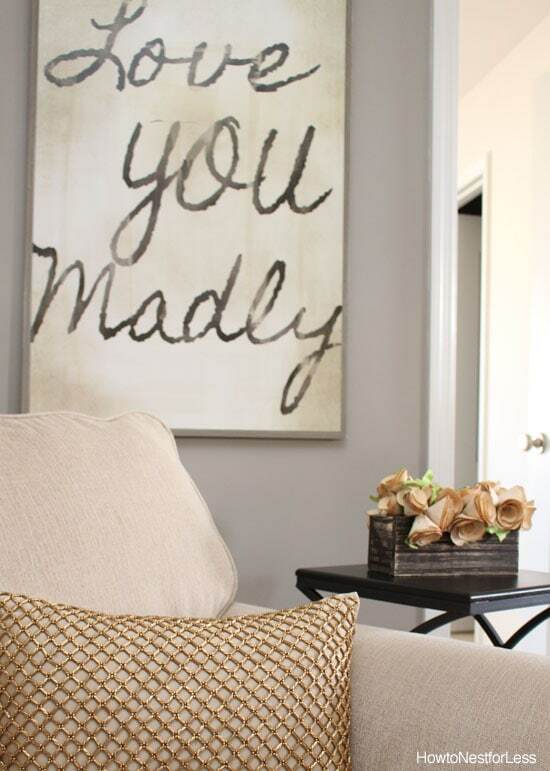 It’s an inspiration… May you please shake where the large canvas “Love you Madly” is from? Thank you! The canvas is from Hobby Lobby! Hi again. I am working on my mater makeover, and your bedroom is so beautiful I keep coming back to look at the pictures. I could not find the canvas online, so I’ve called the nearest Hobby Lobby store to me… Hopefully they will have in stores. 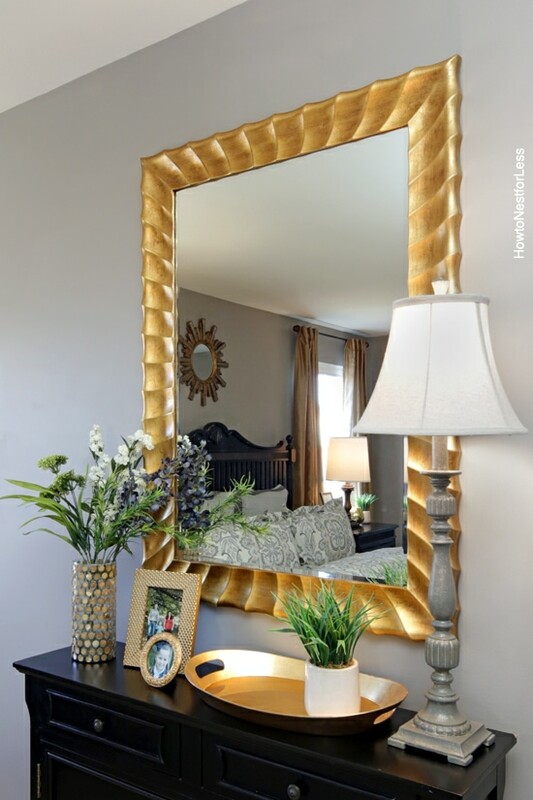 I love how you incorporated the neutrals grays, beige, and gold accent pieces. I also see that your window hardware is hung higher up. Can you share more details, please? I like to hang my window treatments higher so more natural light pours in. I hate when a valance or curtain panels cover half of the window and makes it darker in the room. I always purchase longer curtains then (not the standard 84 inches). The paint color is Functional Gray. LOVE the color! Where did you find the Love You Madly artwork? Love it!! Where did you get that furniture? It’s gorgeous! The whole room is! Thank you! We purchased it from Value City Furniture about 10 years ago! Love love love your master bedroom. Great job. Love your bedroom, what is the wall color? 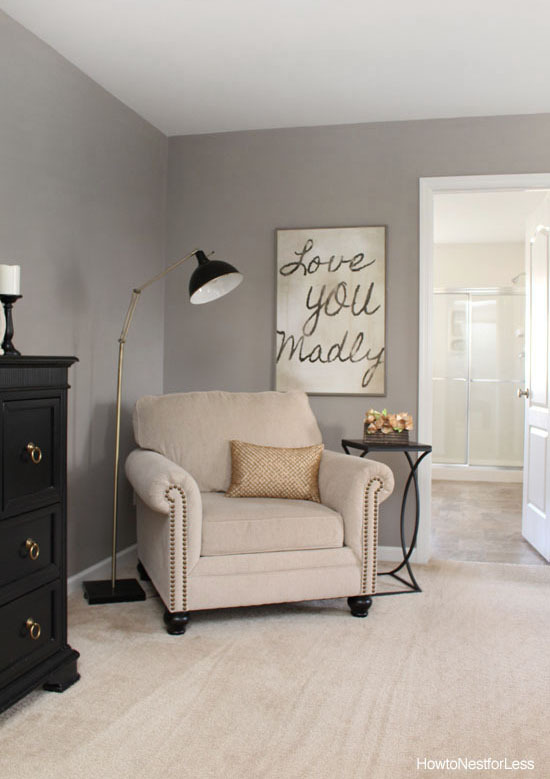 Functional Gray by Sherwin Williams. Can you please tell me where you purchased your window panels? Thank you! Thanks! 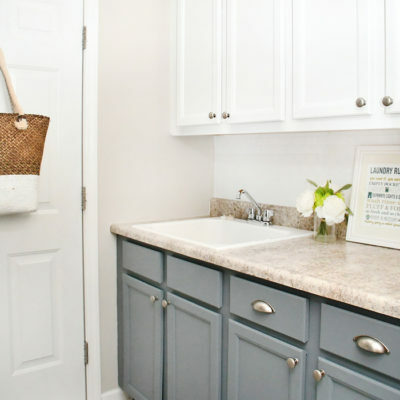 The paint color is Functional Gray by Sherwin Williams. I love it!! 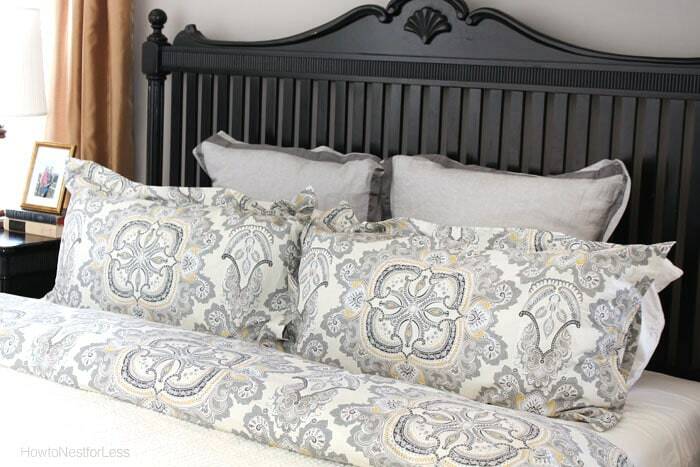 We are going to paint our bedrooms gray this spring. They have been a berry color long enough. Thank you for sharing your color scheme. I am still thinking about exactly what I want to do. But it looks like a great master bedroom is complete for you!! Congratulations!! Thanks! And good luck to your makeover! It looks gorgeous!! We are getting ready to buy a home this Tuesday and I just love the gray walls! What color gray did you use? I have like 100 paint samples and am just not finding what I like until I saw your pics!!! 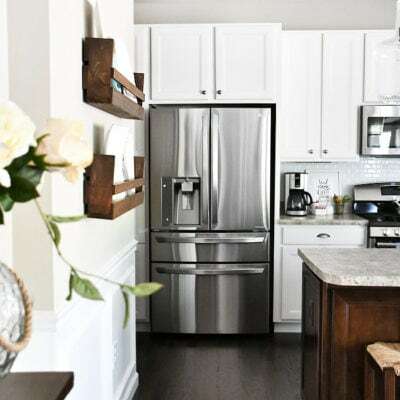 We used Functional Gray by Sherwin Williams. It’s my favorite! So in love with this room! 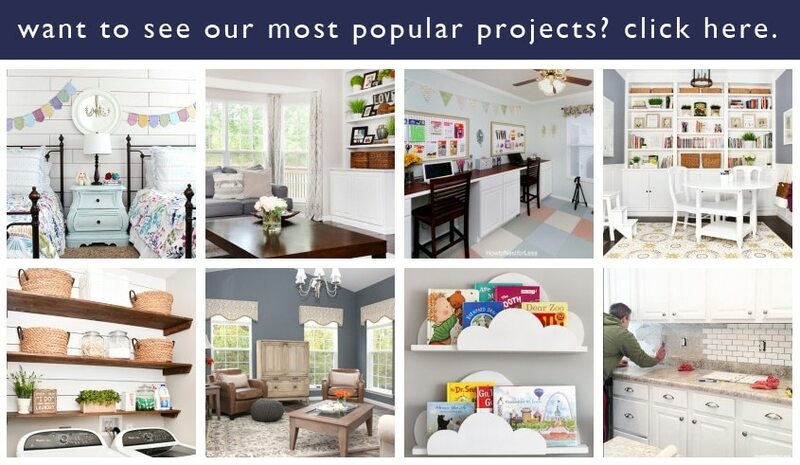 Especially the black furniture and gray walls. Stunning!!! I love everything about the whole theme!! Where did you buy the bedroom set?